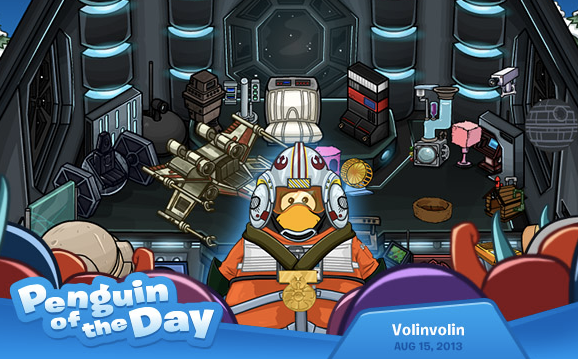 Club Penguin Cheats by Mimo777 Club Penguin Cheats by Mimo777: Penguin of the Day: Volinvolin! Here's the Penguin of the Day for August 15th! Contact Club Penguin to nominate penguins. Every penguin that gets featured on the blog gets 5000 coins added to their account! He only cares about his puffles, who knows how nice he would be with other people.